I’m Emsy and I’m a Polish For Tans-aholic. Yes I’m back with yet another nail art look created with Models Own Polish For Tans Collectionand Hyper Gel White Light. I just think they look so good together and are the perfect combination of colours for summer. 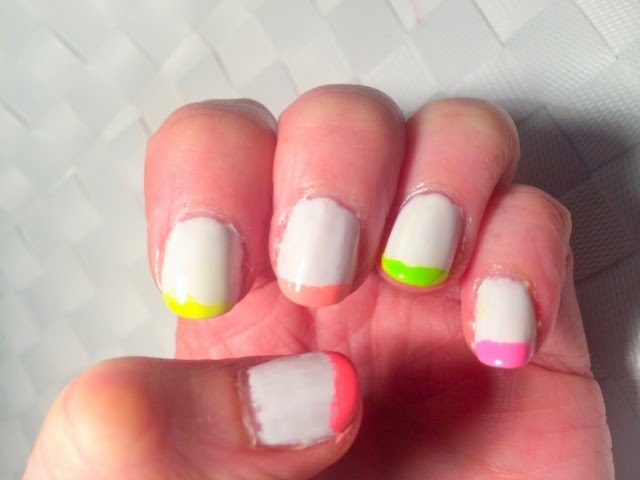 I think this is one of my favourite nail art looks using this collection as it’s so simple but looks really cool. I did a couple of layers of White Light as my base and then left this to dry fully. I actually left it a whole working day to make sure it was completely set as I usually get impatient and can’t last 5 minutes! 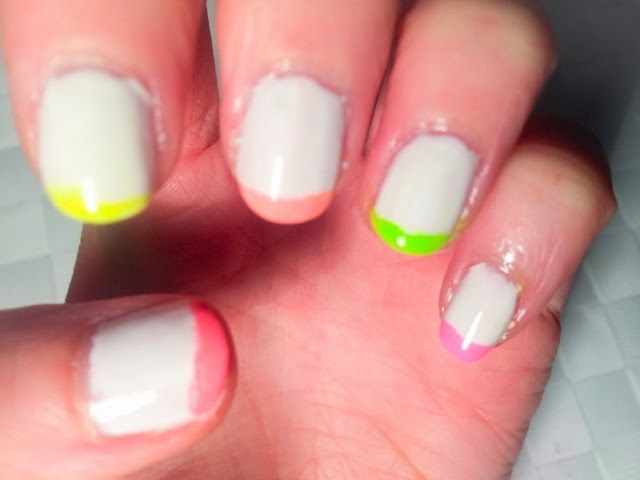 I then used French manicure nail stickers as a guide for painting the tips. I always make sure I stick the nail guide on and off the back of my hand a good few times to get rid of most of the tackiness before applying to my nail as sometimes they’re mega strong and pull off the base coat when I remove them. Ain’t nobody got time for that! I then just painted the tip colours and left them until very nearly dry before removing the sticker. Once the polish was completely set I went over everything with a top coat to seal the deal. Simples! 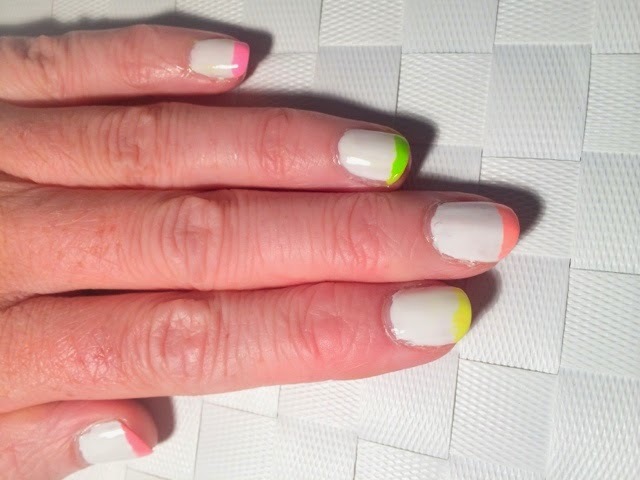 I’ve had loads of compliments for this mani, and my colleagues at work even spent the first 10 minutes of a meeting discussing how I did it and saying how much they liked it! (I love working in an office of mostly women!!) It’s one of my favourite designs to do and love I mixing up the colours depending on what time of year / occasion I’m wearing it. As I said earlier, the Polish For Tans colours really are perfect for summer – bold, bright, fluorescent and fun! 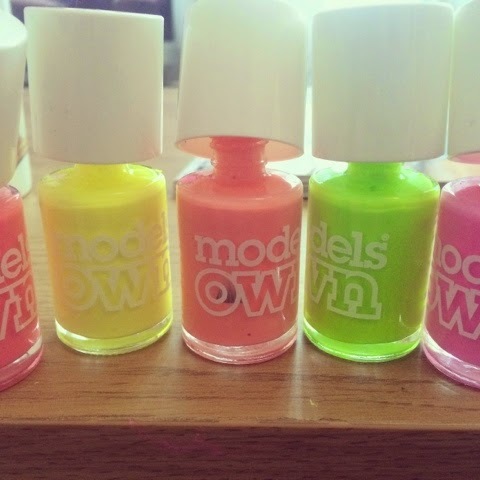 You can catch up on my other Models Own Polish For Tans nail art designs here, here and here. 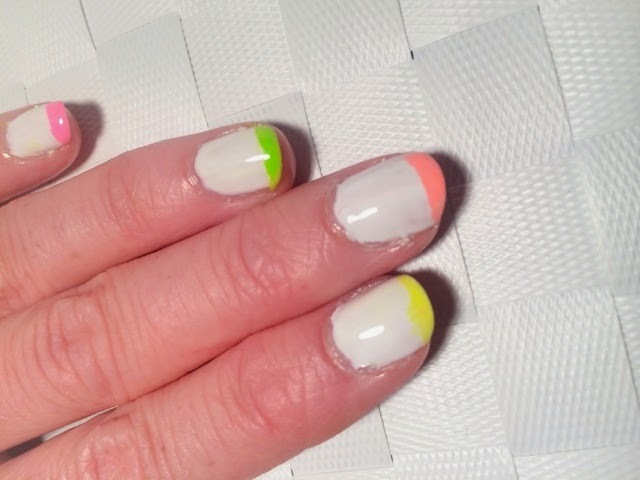 What do you think of my latest Midweek Manicure look?